Aeration system installed to keep water open. 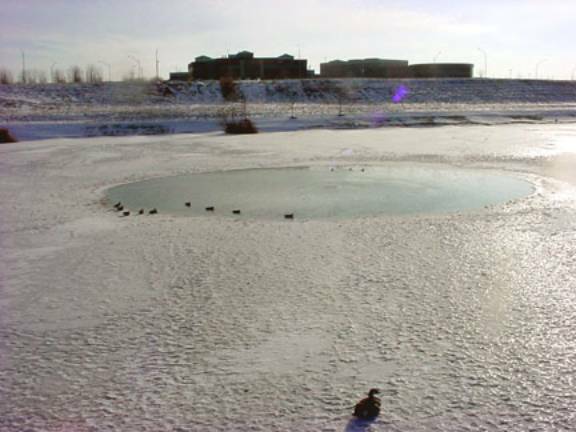 Aeration systems can be used to increase the amount of oxygen in a lake and/or to keep an area of a lake or pond ice-free throughout the winter. We design, sell, and install aeration systems for a variety of different purposes.